The Sacred Lab is Sacred Fools' new development program. 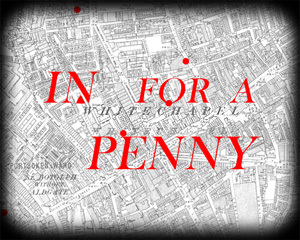 Join us for "In For a Penny," in which a time traveling scientist becomes embroiled in the murders of Jack the Ripper! This edition of The Sacred Lab performs in the Broadwater Black Box.